This is Winchester 9mm NATO Mil-Spec. 124gr. FMJ Ammo. This ammo was manufactured for a military contract. We got some of the left over inventory when the contract was over. 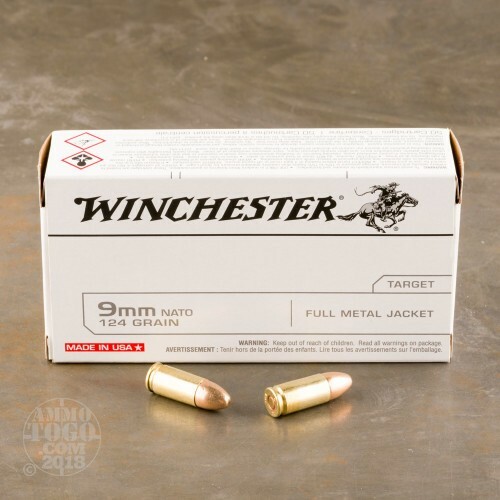 This ammo is manufactured to U.S. and NATO Military Specs. NATO pressure is roughly +P SAAMI spec. It is headstamped WCC with the NATO Cross. This is the best 9mm Available at this time. This ammo is non-magnetic. It comes in 50rd. boxes, 500rds. per case. 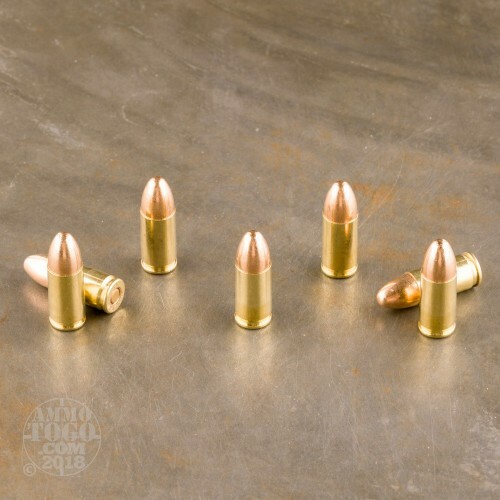 posted on 6/28/18 by RODGER M.
I completed a 4-day Defensive Handgun Course at Front Site in Nevada, firing 598 rounds of this ammo in my S&W Sigma 9mm. The ammo performed flawlessly, with only 1 "stovepipe" malfunction the end of the last day, but I do NOT think it was the fault of the ammo. Recommended! 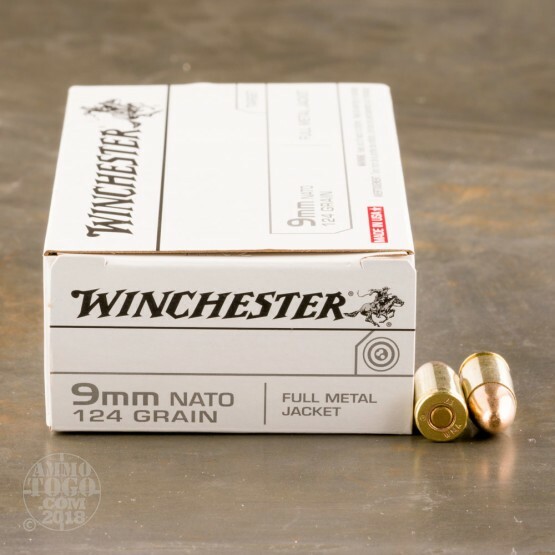 Winchester NATO ammo is reliable, consistent, and smooth shooting. 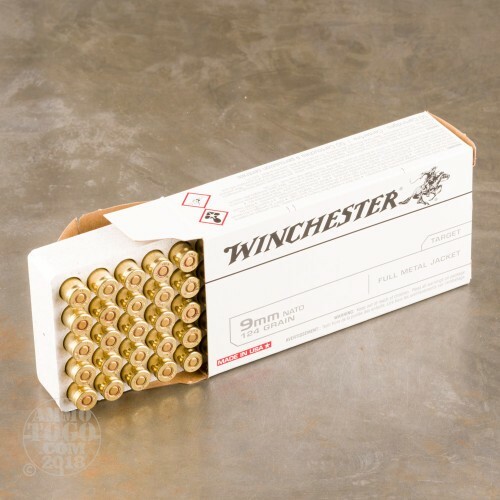 This ammo is perfect with compensated Glock! Great ammo! Ammunitiontogo is a great company too! I suggest this ammo and company to my best friends. posted on 1/29/17 by Tim S.
Good products!! Ammotogo best place to get good service and good deals! !